By Rosie Walker, Successful Diabetes and Anne. We have both attended diabetes professional conferences and reflected on the language used about diabetes, for example, self-care is often labelled with words like ‘compliance’, patients are ‘suffering from diabetes’ and ‘poor’ is contrasted with ‘good’ control. These words carry a degree of stigma, or at the very least affect how people interact with those of us who have diabetes. I have also blogged previously about the use of labels and stigma (check out #LabelsR4JamJars). In other countries, most notably Australia, there has been a push to change the way language is used and Diabetes Australia have led the way in trying to eradicate words that are unhelpful when supporting people to live with diabetes and suggesting others. 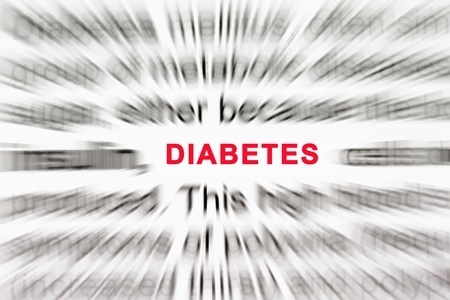 Their position statement ‘A new language for diabetes’ was drawn up by an eminent working group including clinicians, psychologists and of course, people living with diabetes. It is the basis for many events and presentations which quite literally ‘spread the word’ about language awareness and use in diabetes care. One such presentation was recently at the American Diabetes Association 2017 meeting in San Diego, where it was proposed that the USA might develop its own statement. Inspired by attending that workshop and/or hearing about it through Australian diabetes advocate and blogger, Renza Scibilia, ourselves and Dr Partha Kar, Associate National Clinical Director for Diabetes in England, have decided to do something about this in the UK; working with people with diabetes, and also professionals and voluntary sector organisations, to create a UK statement that raises awareness of and promotes the best use of language in relation to diabetes and people living with it. Please post your comments in the comments box below (if you would like to remain anonymous please say so in your comment and I will not post it openly on this site but will add your views to the debate). You can also tweet us @anniecoops @successdiabetes using #Diabeteswords or #languagematters, by the end of July 2017. You can also comment on other people’s ideas if you wish (politely of course!). We will be putting all the ideas together and will take all comments into account when drafting the statement. The statement will be developed by a multi-disciplinary group but your voices can be heard. We will also be having a tweet chat on July 25th in the evening with @WeNurses using #WeMDT. That should be a lively event so please put a place-holder in your diary! 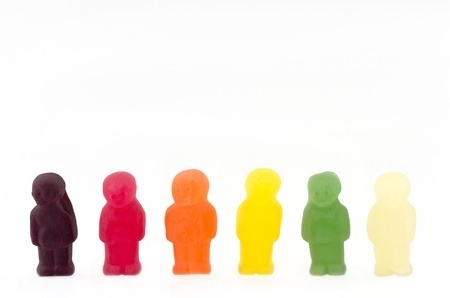 I had a developer say to me recently ‘It’s OK, we do lots of user research where we test our products and how well they work!’ – he was clearly proud of his product and through this research thought they were very well connected to their users. Clearly their plan couldn’t fail? Or could it? I was less impressed. I was unclear if they understood what the issue was that they were trying to resolve and had made a huge leap to creating a solution that they were then going on to test. Their intentions were honest and good but I wonder if we can do better if we understand what it is products need to ‘do’ to help in the health system. I also recently read this blog from Mike Fritz at Userzoom that eloquently describes the issue; fundamentally you can create a highly usable (probably very beautiful) application but it will possibly never get used, unless you understand utility. Having Type 1 diabetes means I understand utility very well. There are hundreds of digital tools/apps available to me, a simple search in the apple app store shows the variety; carbohydrate counters, games, coaching, glucose monitoring. But the truth is, I only use one consistently and that’s an App called Carbs and Cals. It has a clear utility for me; it easily helps me to identify the carbohydrate content of food just by looking at things – no scales, just looking. I think I am a reasonably activated patient, so why is it that I only use one app and does that make me different to everyone else? I think that the research is starting to show that most of us only use 5 apps that are not native to our device and if you think about your own use (Twitter, Instagram, Facebook, Whatsapp) you are likely not to have too much room in your smartphone life for much more than a very special few apps. Despite this the health system continues to see Apps as a potential solution to the challenges faced by health and care systems. Potentially it’s a classic case of hitting the target but missing the point. So how could we reverse this? How can we help to make sure technology offers valid usable utility solutions? I believe that utility is the key not beauty; we will tolerate poorer user interfaces to achieve beneficial utility. It’s about what it does to support and help people not whether it was merely a great idea in the mind of someone or has a very smart user interface. The best example for me of hitting the target but missing the point are Apps that ‘help’ people with Diabetes to monitor their blood glucose but require extra entry of information into a separate and standalone app… in the days of interoperable devices why would you bother? No one I know likes them or uses them in a sustained way. Their utility does not stack up. So, if we are to capitalise on technology how might we do it, how might we find the pieces of utility that really help? The answer for me lies in where the ideas and solutions arise. If we look to citizens and patients who have real skin in the game they will know where technology has real utility. From this, great designers and developers can collaborate with citizens and patients to create high utility AND high usability solutions. My view is that this type of ideas generation and co-production has the potential to create innovative scalable solutions. But only if we stop thinking the system knows best and properly tap into the ideas and creative thinking that sits behind People Drive Digital. Co-production in the digital development space could have real potential to help but it requires more working together to identify areas of potential utility and then combine these with fantastic design and development. We have the skills and talent – we just need more conversations. Follow #PDDigital16 for more conversations. I don’t like a fuss about anything much. I dislike being the centre of attention at birthdays and parties; its not that I don’t like them, more I like to be part of a bigger thing not at the centre of something. But when it comes to my Diabetes I had an insight this week that my inherited stoic approach to my personal health might not be for the best. There is no doubt in my mind Diabetes is tricky every single day. I can’t do many things without thinking first: a latte with a friend (how much milk and how much carbohydrate), a long walk (where are those pesky glucose tablets and where shall I carry them) a night away (do I really need to take all this stuff? ), and that’s just the tip of the iceberg. Through personal preference I don’t talk about this all very much. I have to do it, not you, and why would you want the boring details? But of course this behaviour masks what is going on and renders my Diabetes, a big part of my way of life, invisible. Does that matter? Sometimes it does, sometimes, knowing these things about me is helpful, it might explain my tubing poking out of the top of my tee-shirt or my seemingly sudden lack of focus, or my trying to cram biscuits in to my mouth. Not very glamorous is it really? So what is it that I feel inhibits me? Is it about me or is it about the environment in which we live? Sadly, its about both. I am not predisposed to share and people are interested in differences but not always for the right reasons. Responses like: ‘Should you be swimming?’, ‘Shouldn’t you be at the Medical Aquafit not the normal one?’, ‘Should you be eating that?’ and ‘Did you really have a baby?’ are irritating narratives in my life. My contact with more people with Type 1 via social media has encouraged me to be more open but I still do so with a feeling of unease. So why do I think it matters? I think it matters because it is really hard. Much as I want to be seen as a strong woman who copes with really well with her life, sometimes, sometimes, it stinks. And if I don’t tell you, how will you know? Because when life stinks its always helpful to have the kindness of people. So if you know someone like me, empathy but not sympathy is the best answer. I don’t want sympathy but I would like people to know how hard it is! This week has been a hard week. High readings that make you feel frankly shocking for no perceivable reason other than that it’s Diabetes. So don’t judge me if you see me in the supermarket cramming food that hasn’t been paid for yet into my mouth. The choices are stark…. eat or pass out on the floor! People with Diabetes are not alone in having an invisible disability. Watch this great video by Pam Relph for some insight into invisible disability and if you are on Twitter have a look at #morethanmeetstheeye. Its an old hashtag but worth a look through. PS Why do I still feel whingy writing this post? I hate feeling whingy! Can you remember where you were in 1979? That’s how I started my TADTalk2016. I was privileged to be asked by Dr Partha Kar to speak at the inaugural TAD – Talk About Diabetes – talks. The event was a series of speakers who all had Type 1 Diabetes; each gave a story related to their experience. It is the first time I have really talked about Diabetes and my journey – I have talked about the menopause to a small group and talked about social media but never my personal account of Diabetes. The other speakers were inspirational: Joe, who was a professional cyclist, Lis who has had T1 for over 50 years and at times has struggled with food, Laura who has had many struggles of her own including nearly losing her sight, Wes from the wonderful, inspirational #wearenotwaiting project where parents of children with T1 are taking action to find solutions, Jamie Reed MP who was diagnosed at a key time in his political career and went on to win his seat and Richard who was the first person to receive an islet cell transplant. I felt inadequate – I had no dramatic story to tell. 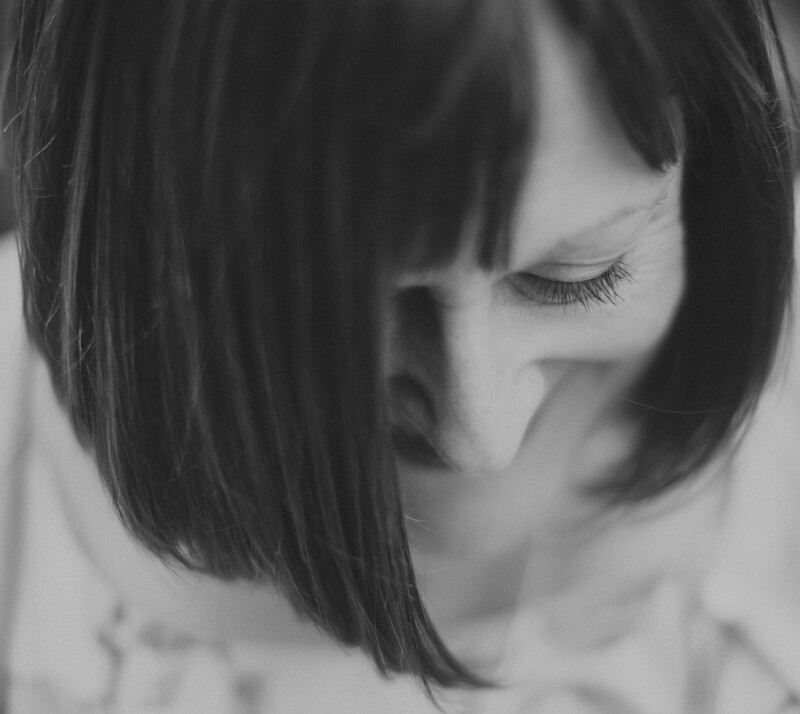 My story is one of ordinariness – I wondered why I had been asked to speak. I decided to tell the story of my journey through three decades of care but I have no highlights, no major events or dramas that light up that path. Was that enough? Do I need to have struggled with the dark art of diabetes to have a story to tell and more importantly one that people want to hear? 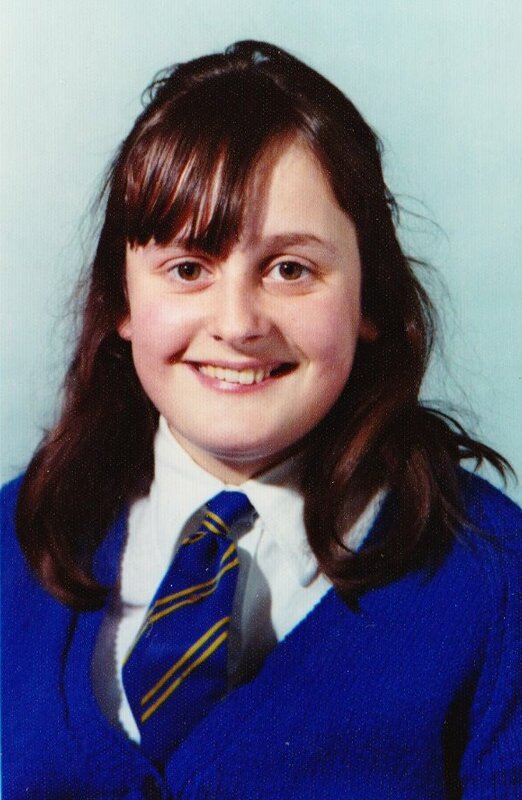 So what was I doing in 1979? I was leaving school, in the same month as Margaret Thatcher became prime minister. I was wearing platform shoes and on occasions long white socks, as you will see if you look at my presentation. I had my first serious boyfriend and we spent our spare time roaming on his motorbike around the Yorkshire Moors the North East Coast and beyond. I was fiercely independent even then, as a child from a broken marriage. I had been in my first proper job for around 2 months when I was diagnosed, promptly via a blood test by my GP and spent a week on an adult medical ward where I saw people die and helped the nurses do the teas and fed old ladies at mealtimes. I was 16. In the decades that followed there were many changes to my diabetes care. Sometimes those changes have been a challenge to accept. If you have been told you must do something for a decade and then someone changes the rules, on what often feels like a whim, it can be difficult to do. But I’ve coped. I have never been in hospital as a result of my diabetes, except one trip to A&E when I put my back out when I fitted as a result of a hypo – I was back at work the next day. I refuse to give in and I have not really had any time off work since 1979 as a result of having T1. I’m touching wood and the cat for luck as I type these words as of course anything could happen tomorrow, or the day after, or the day after that…. So what is the point of my story? I think I have learnt to be resilient and I think that is a key skill and attribute for someone with T1 to build. Psychological resilience is defined as an individual’s ability to properly adapt to stress and adversity. Stress and adversity can come in the shape of family or relationship problems, health problems, or workplace and financial worries, among others. Sometimes Diabetes can feel like you take two steps forward, and one step back. Resilience is knowing that despite this you are still moving forwards. Resilience can be learnt. For people with diabetes I believe that resilience is built not through the formal education for diabetes, important as that is, but developing the know ‘how’ of diabetes; the practical know how to live with the challenges of stress and adversity too. Peers have been increasingly important to me in the last 6-7 years. Support networks, whether they by family, friends or peers can help you to stay focussed and pick yourself up. They can also be an incredible source of shared knowledge. I am intrinsically an optimist and that helps too. I like life goals, not HbA1C targets, but vital ones wanting to have a family (which I went on to do), I wanted to be a nurse and I still want to make an active contribution to society in any way I can – my life goals. Looking after yourself is key, taking time to do what makes you happy. Keep a positive view of yourself and look after your mental health and well-being as much as you do your physical health. Taking time to reflect and mindfulness – living in the here and now and not worrying too much about tomorrow – can help. Laughter is an important part of my life – I love laughing and making others laugh with me. Stay up to date and keep on top of what is going on in the world of diabetes. I use social media to do this but there are lots of ways including being a member of Diabetes UK. And finally knowing when to seek help is very important to maintain resilience. So mine is a story of ordinariness. No drama and no crisis (yet). I hope that story was enough on Saturday as I represent the ordinary folk, those who just get on with it and cope with managing the dark art of diabetes. Long may my ordinariness last! I had a complicated teenage years. At 14 nearly 15 I found myself looking after a house and Dad after our Mam had left; Dad was clueless, he didn’t even know how to write a cheque let alone look after all the household affairs. Mam had done it all. I picked up where she left off. The foundations of our lives are laid down in our early years. As a result of these circumstances independence has always been really important to me. I left school at 16, having been one of the top stream at school, and started work in a bank. I was, of course, advised to go to University – nearly all my contemporaries did exactly that – but wanting to be able to look after myself was a key objective for me and financial independence a key driver. It was 6 weeks into my first proper job that I started to feel unwell. 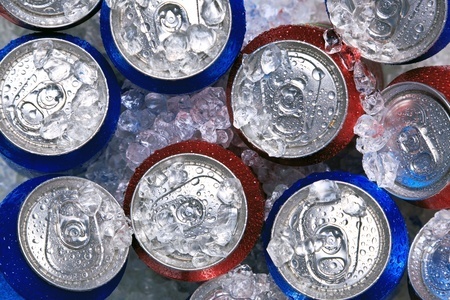 There was a small supermarket next door to the bank and I was buying can after can of pop to drink – I felt so thirsty. As a result of my drinking I was constantly up going to the loo at night. Classic, had I known it, symptoms of type 1 Diabetes. I think it must have been the tiredness that did for me and after a little while I decided I really didn’t feel right and went to see my GP. In those days he took a blood sample himself to send off to the lab. 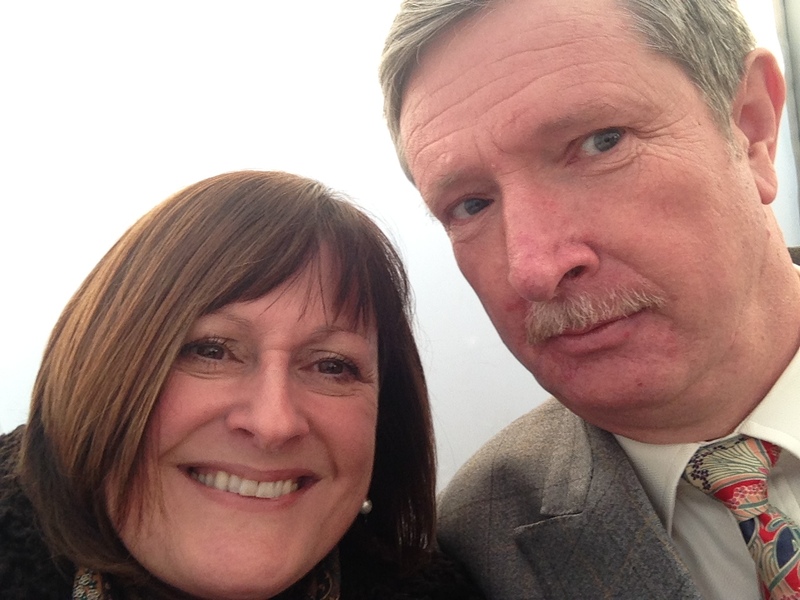 Two days later I was out with my boyfriend – on the motorbike where we spent all our spare time – when the GP came knocking on the door to ask me to go to the hospital. He was non-too pleased when Dad told him I wasn’t at home and of course we had no mobile phones back then so I was summoned to North Ormesby Hospital early the next day. 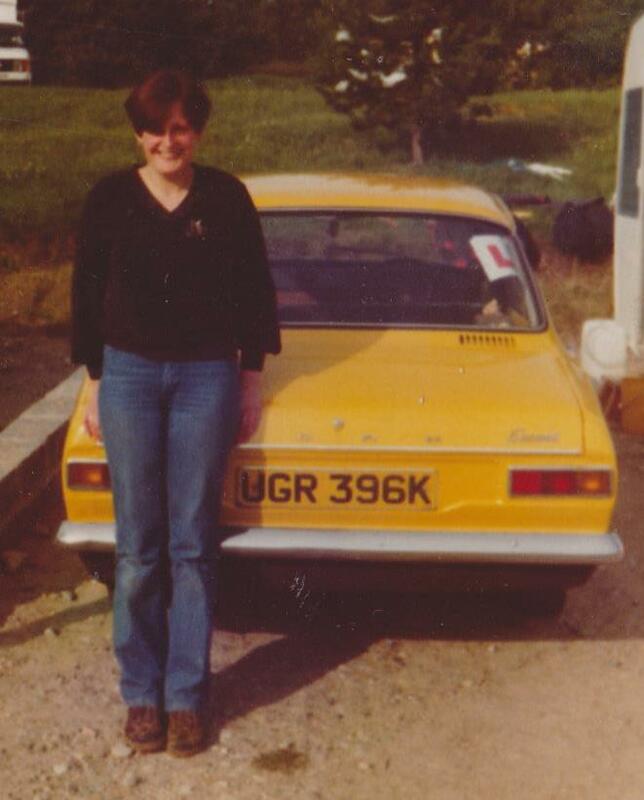 It was there, at 16, on my own, I was told I had Diabetes. 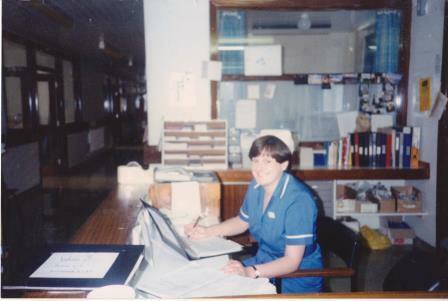 The experience of being on an adult female medical ward at 16 was fundamental, I think, to my deciding to become a nurse. But this blog is more about what things I would tell myself, the things I have learnt about having Type 1 Diabetes in the 36 that have passed; things I couldn’t have known. They are not all things I have done wrong – some of them are a celebration of things I feel I have done right too. For me taking control and being independent has been key to the way I have managed to live the last 36 years. There are only two times in the last 36 years that anyone else has given me my insulin injection – the first was the very first time when a nurse showed me how, the second was when I let my husband have one go to see if he could do it, ‘just in case’. Diabetes usually needs you to do exactly that – take control. I think I have done this well and I have refused to let Diabetes be the dominant part of my life. I learnt this lesson much later in my Diabetes career but I wish I had known it sooner – knowing other people who have Type 1 has really been helpful in the last 5 years or so. I have found new friends on social media, people who inspire me, have helped me, make me laugh and I know I have helped some people too. I just wish someone had told me, encouraged me and helped me 36 years ago when I was 16. I really could have done with a mate! I would say: ‘Go find people to connect with who have type 1 too, they will understand better than anyone else’. It took me a long time to realise that keeping up with what is happening in Diabetes care can be really powerful. For many years I took no interest. I let my (then) British Diabetic Association (BDA) membership lapse and just carried on in exactly the same way for many, many years. Diabetes is complicated and I wish I had carried on learning constantly throughout the last few decades. I think this is partly about ignoring my Diabetes; I don’t mean not looking after myself, but only caring about knowing enough to live. I would say: ‘Never stop trying to learn more about Diabetes, it will help you to both improve the quality of your self-care but also make sure you know when treatments have improved as no one will necessarily seek you out to tell you’. I have never let my Diabetes get in the way but it can be a bit of a challenge. I remember people doubting that having a baby would be OK but it was, I remember a school of nursing telling me that they didn’t take people with Type 1 Diabetes for nurse training but someone else did and I remember working night shifts and wondering if I would cope but I did. Sometimes things are a bit harder than others but I have never let my Diabetes stop me from doing things I really wanted to do. I would say: ‘Almost everything is possible but you might have to plan a little bit more than other people, perhaps less spontaneous but doable nonetheless’. Finally I would tell myself that trying to ignore Diabetes and pretend it isn’t there doesn’t mean it will go away. I learnt too late that testing blood glucose is a good thing to do and to do it for me not for the doctor. It’s better to know what’s happening and I care more about it than anyone else. But then it’s easier these days – 5 seconds was unimaginable back in the late 70’s, we were still testing urine in test tubes then. Technology has improved our ability to feel in control without it being the centre of our lives; for this I am grateful. I would say: ‘Test more and learn about your body. Ignoring it and doing the minimum isn’t the answer but you can be in control of Diabetes without it being in control of your life. I stand. I’m not quite sure what to do, the lights are flashing, I look up to see if I can work out what I’m supposed to do but I feel confused. I know I need food but I also have to pay and I just can’t work out where the tills are. I don’t know how long I stand there, minutes, but I know I need to move. I had been busy, focussed, trying to fit stuff in and get everything done. I had popped out to buy a present for a girl who was leaving and we didn’t have too much time so we needed to crack on. I suspect I felt a bit light headed then but I was absolutely focussed on task, it was only afterwards that I realised I needed to eat. No matter what everyone tells you about being prepared, that’s all fine, but when my brain is struggling and thoughts are fuzzy I am not always as logical as I could be. I did have hypo treatment tablets in my bag but I seemed to have forgotten all about those. Believe it or not in a city centre buying food, preferably fast acting junk food, isn’t as easy as it sounds. I bought some Jellies from Thornton’s and crammed a few into my mouth, barely chewing, merely trying to ingest as quickly as possible. Sometimes, for some reason that doesn’t always seem to bear any relevance to logic, it seems harder to bring my blood glucose up. It’s a rare event but nevertheless happens now and again. I needed something to drink, something with sugar. I knew what I needed to do. I walked through the shop doorway and stood. I stand a while. No one seems to notice. I close my eyes and try to think. I walk a few steps, wander past the isles. I see a fridge and eventually a grab a drink. But where are the tills? I feel mildly panicky. I can’t drink the drink without paying can I? This happened to me two weeks ago. I manage this day, as I have managed for 36 years. Eventually I feel marginally better and slowly make my way back to the office. I tell no one and get on with my work. I know that there will be an inevitable rebound high so I keep a close eye on my blood glucose but giving myself more insulin seems counter-intuitive and I worry – too little and I will feel rubbish through ketones, too much and I will bounce down again…. It feels a little bit like Russian roulette. I tell no one because I don’t want pity. I get on with some work but pack up early and make my way home. I feel like I have the worst hang-over ever. My head feels sore and slow, my brain reacting to the lack of glucose, objecting and asking me to slow down. Somehow it seems worse, the recovery, as I get older. It takes me longer to bounce back, to be on top form. This time the feeling of other-world-ness and being in a different space to everyone else persists for another day. Type 1 Diabetes is hard. It’s a bit hard every single day but that’s OK. But just sometimes it’s more than hard, it’s disabling and frightening. Do you know what it’s like to feel seriously hypoglycaemic? #diabetes friends – just been thinking – how would you describe v bad hypo to non-PWD – what words wud you use? Might blog about this! @anniecoops Yes – and when I'm back to normal I always think: "What was that great world-changing idea?" @anniecoops Also apprehensive. And that not wanting a fuss is strong too. Resentment sometimes. At the disabling effect. Me and my unofficial carer! He looks lightly scared I know! I happen to have Type 1 Diabetes. That means by default I am a data monkey; what I mean is someone who is concerned with data all day long, every day. A pile of test strips. Each one a finger prick. Each one a data point. Diabetes is all about information. Yes, it’s also about your toes and their potential to fall off but it’s also about how we as individuals manage (or don’t) lots of information. 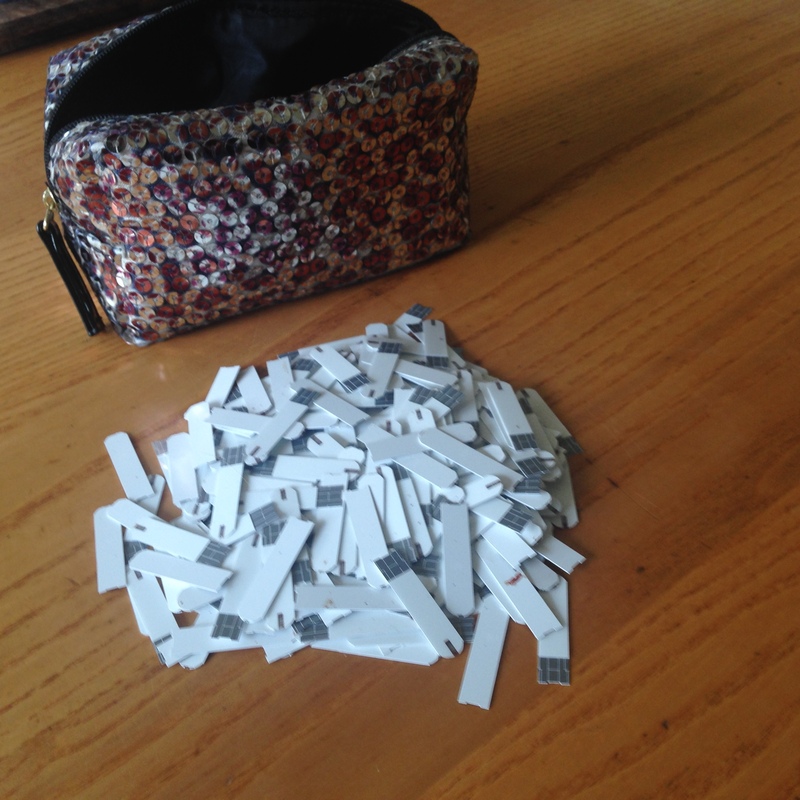 This little bag is full of real raw data – a pile of test strips. Each one represents a finger prick and a result showing my blood glucose. I’ve never been very good at meticulous writing down of numbers. Perhaps my attitude to my diabetes is the issue; it’s not my life, it’s just part of it. When I was diagnosed (in the olden days) the GP came to the house and knocked on the door to say I needed to go into hospital (we didn’t have a phone) but I was out with my boyfriend on his motorbike. I’m not sure my attitude to my health has changed very much! In the years that followed I was never very good at it. I did test, sporadically, my blood sugar but was always poor at writing it down. It seemed to be the biggest pain in the bum ever. First of all I had to test my urine (yep in a test tube) and then it was what were called BM sticks. Each test took around 5 minutes from start to finish. Five minutes is a long time when most of it is spent watching the colour changes on a small stick. I had lots of things as a young person I would rather be doing! I had a blood spotted book I tried hard to write things down in…. boxes on forms in a little book. Innovation has always been important in diabetes care. 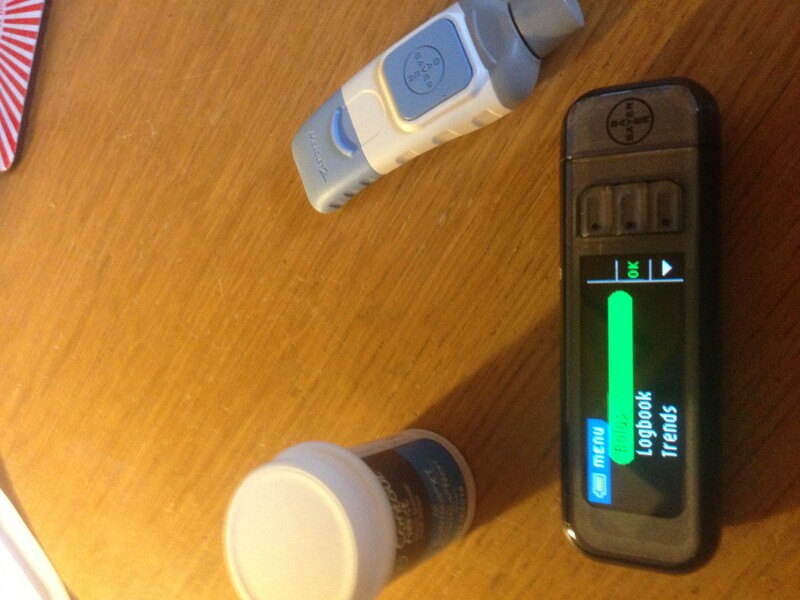 The move to near patient testing where we were given blood glucose meters was a brilliant shift. It was almost life changing and is a great example of Christenson’s disruptive innovation – putting the power – information – in the hands of patients. Suddenly we had a meter that was accurate and over time the time taken to run a test got less and less. But we still had the little books, the need to write things down remained. I know I started testing more when the testing time gradually went down to the 5 seconds it takes today. What health care professionals think matters isn’t in my experience actually what matters to patients and that’s part of the point of ‘People Driven Digital Health and Wellbeing’. Patients/people/citizens driving developments in the things they think are important. So I test up to say 8 times a day; 8 data points every day plus all the data from my beloved insulin pump, the other innovation that has changed my life with diabetes. Yet here we are in 2015 with few ways to analyse my data. Many of the solutions still involve multiple data entry – the 2015 version of writing things down in a little book. It’s just not the answer. The first is that there is analytical software but the suppliers seem to think my doctor, who I see once, or maybe if I’m lucky twice a year, needs the data and the analysis tools more than I do – makes no sense. I make micro and macros adjustments every day to my regime – staying well and managing myself. The suppliers have created a system that allows the technology to send data to my doctor and them to use tools to manipulate it but only gives me the most basic functionality. The suppliers market to the doctors and nurses in an old paternalistic model where the clinicians are ‘in-charge’. The second reason is they are trying to fix the wrong problem. Designers make assumptions about what matters, create solutions, then try to lock us into their system. In my experience they rarely listen*. I want something that is focussed on simple speedy collection of data – no duplicate entry please, and something that allows me to do trend analysis, that’s why I call myself a data monkey. To cure these issues we need open APIs and standards that allow systems to talk to each other and allow us to move our data around! Of course there are some very clever people who have diabetes or have children with diabetes, why wouldn’t there be? Brains are not exclusive to those people in the system. In the USA a movement started called #wearenotwaiting. A group of people with a vested interest who decided they would hack into the back of all the equipment we use, pumps, testing meters, analysis software and create something for us. They believe they can create the first closed loop system for diabetes faster than the system can. Of course I know this is a risk but I do believe this is the best hope for us for someone to create something that works for us and gives us more control. Sadly we still have a long way to go. I know from my professional life that people in the system still think we should be creating solutions so doctors can see the data we enter and that is seen as the issue, whereas I believe we should start with the person with the Long term condition and meet their needs first. Taking a look at #wearenotwaiting would be a great start. So, for those of us in the data game, every day, even Christmas day, we survive doing ratios, trend analysis, and measuring. We need better solutions and need to be more involved in their development, even in control, in order to get the pace and scale of development we need. Just a postscript to say I collected my new insulin pump the day after the conference – it has some nice new features so perhaps someone is trying to listen! Thank you Medtronic but please can I have the better analytical software? I think I might want it more than my Diabetes Specialist Nurse!